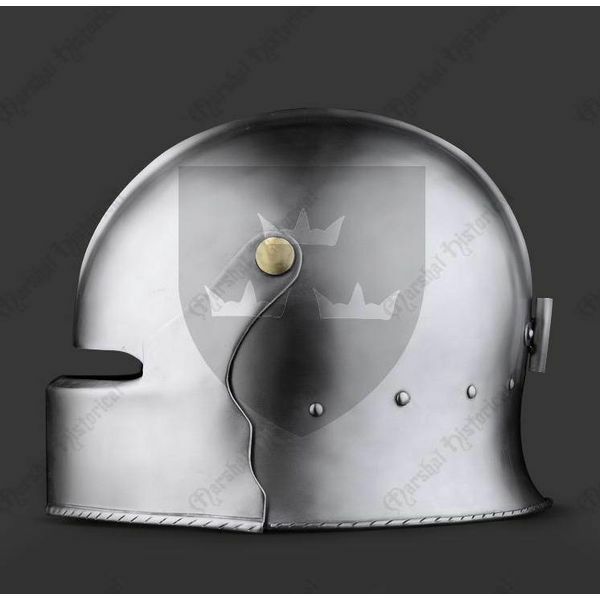 This sallet is a replica of south German and Swiss originals. 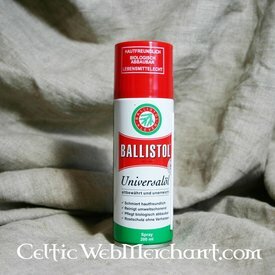 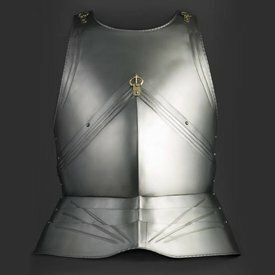 It is made in the Augsburg style and is typical for its short neck protection. 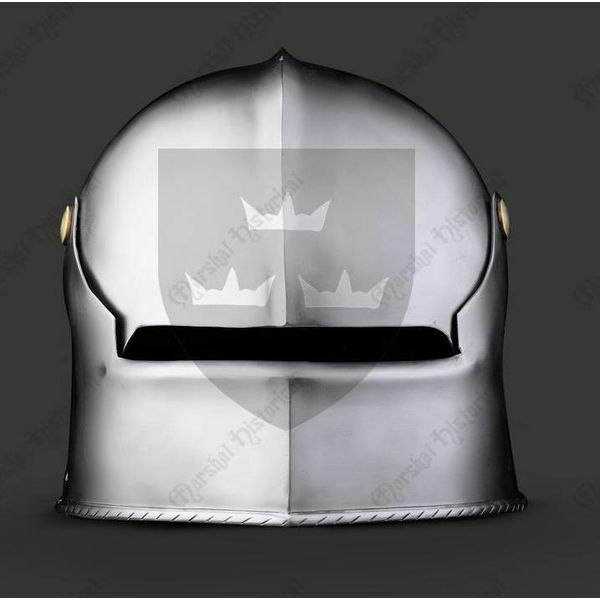 The visor of this practical sallet can be opened and when closed it can be locked. 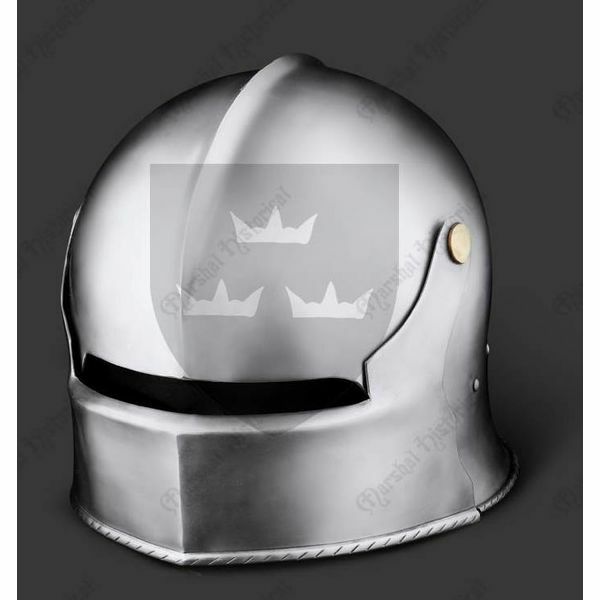 The helmet is made of 1,6 mm thick steel and is provided with a linen inlay and a chin strap with a historical correct buckle. 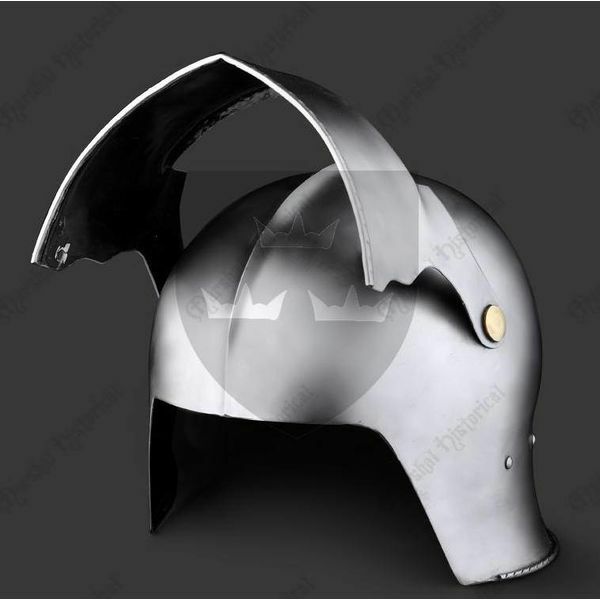 It is suitable for a head circumference of 62-64 cm.